This spring brings many wonderful and flowery perfumes to be admired and bought. The fashion house of YSL introduces a new version of its iconic Mon Paris perfume with an intoxicating pleasant floral aroma, Yves Saint Laurent Mon Paris Parfum Floral. The new perfume is all about a nice blooming floral aroma to be inhaled. Women that love Yves Saint Laurent Mon Paris perfume will find the new version very feminine, sensual and delicious, attractively decorated with precious stones on the black bow. I personally adore perfumes that have beautiful designs, they are so inviting and eye-catching that you simply cannot resist not to try them. I really appreciate brands that pay attention to details and make their products glow and sparkle among others. 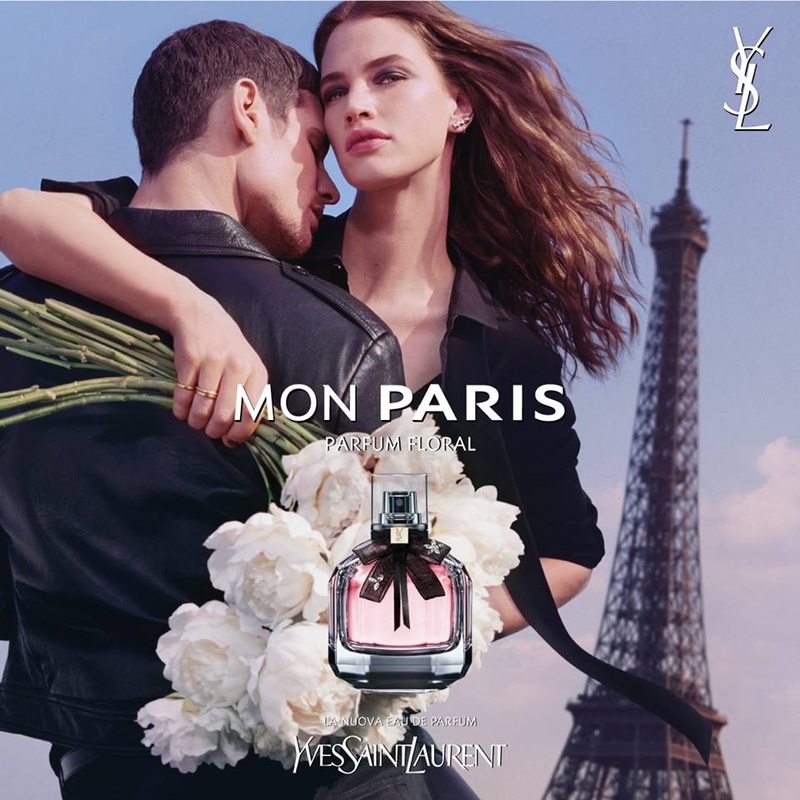 Yves Saint Laurent Mon Paris Parfum is definitely a floral perfume, just like the previous editions, yet this time it has a nice juicy peachy hint mixed with datura. Also, it blends aromatic white roses, orange blossom, peonies, magnolia, and cashmere wood. 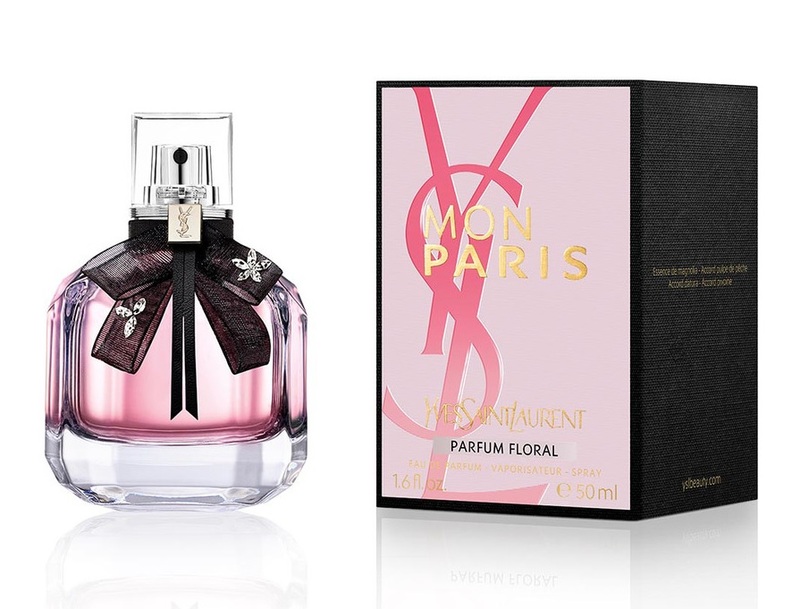 Yves Saint Laurent Mon Paris Parfum Floral is available in 30, 50 and 90ml Eau de Parfum.